Keep in mind that bad behaviors in the hospital can be attempts by your loved one to communicate that there is a problem, an unmet need, fear, fatigue or pain. Be a detective and try to figure out what it can be. Advocate for your loved one, they can’t do it for themselves. I attended a wonderful lecture given by my friend Sydney Farrier, LCSW, in Dallas, TX. Challenges in Caring for a Hospitalized Dementia Patient. 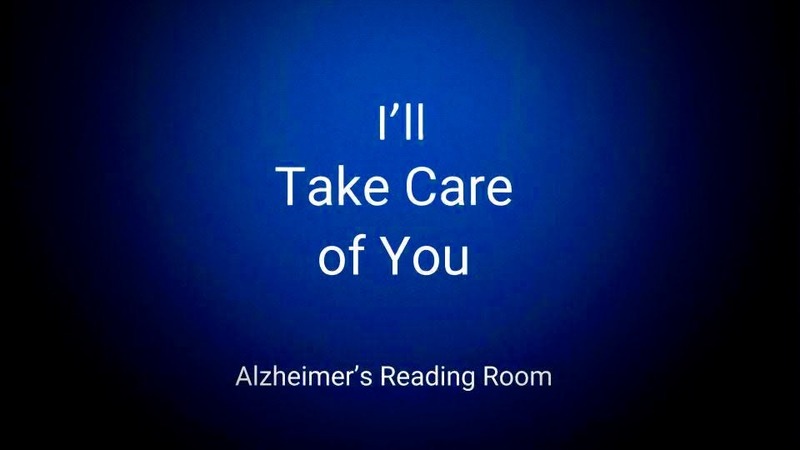 I will attempt to translate some of the lecture for families so they can help the hospital personnel treat/manage their loved one in a way that will reduce agitation as much as possible, and provide the best outcome for the loved one with dementia. EXPECT your loved one to exhibit more anxiety, agitation, aggression, and resistance to care than is normal for them while they are in the hospital. These behavior will come on top of whatever pain or discomfort they are experiencing and may not be able to convey to hospital staff. Here are 27 things you need to control for while your loved one with dementia is in the hospital. 1. Many patients have not been formally diagnosed with a dementia or if diagnosed, that diagnosis is not identified at the time of hospital admission. 2. 93% of in patients with a dementia have one co-morbid (occurring at the same time) condition and approximately 60% have three or more co-morbidities. 3. Usually the person is admitted to a hospital due to an illness or an accident that is not clinically related to the dementia. 4. Treating a person with a dementia is more costly than treating a person without a dementia. On average $5000 more costly per hospital stay. 6. Hospitalized patients with dementia are at higher risk for falls, dehydration, inadequate nutrition, untreated pain and developing a delirium on top of their dementia. Now, to minimize “adverse outcomes” Here are some things the family could do to help their loved one with dementia. 7. If you can’t accompany your loved one in the Ambulance to the emergency room, make sure you get to hospital as soon as possible. 8. Do not accept hospital staff or emergency room staff telling you to go wait in the Waiting Room. Insist on being with your loved one every second you can. Tell the staff that you will help keep your loved one calm, and that s/he might get very agitated if they can't see you. Explain, your presence will help, no matter what. 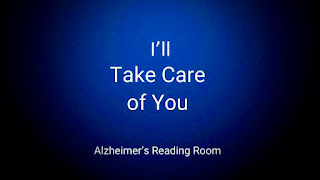 9.. State to every hospital staffer you see that your loved one has dementia and you prefer all avenues be taken to calm them (including providing a caregiver, if that is a service the hospital provides for patients) before administering any drugs or chemical restraints for this purpose. 10. Continue to state that to every new hospital staffer, nurse or doctor you see with your loved one throughout the entirety of their stay in the hospital -- the patient suffers from dementia. Ask everyone to add it to your loved one’s “Chart”. The more times it shows up in the “Chart” the more times it will stick in the doctors and nurses minds. Because your loved one is in an unfamiliar place with people coming and going it will that likely scare them, confuse them, or overstimulate them. 11. EXPECT your loved one to exhibit more anxiety, agitation, aggression, and resistance to care than is normal for them. This behavior will come on top of whatever pain or discomfort they are experiencing and may not be able to convey to hospital staff. Don't assume that the hospital staff knows how to communicate effectively with someone living with dementia. and handing them a copy. 12. Help the hospital staff and personnel to manage the environment as much as possible. Ask them to maintain a consistent routine as much as possible, and enforce that while you are there with your loved one (with exception of tests, procedures, surgery, etc…). Ask for as much consistency of nurses and aides dealing with your loved one as can be achieved. 13. Bring several familiar objects for your loved one to hold or look at. Try to limit noise inside the room. Try to limit visitors if your loved one is tired or overstimulated. 14. Put away extra objects (clutter) in the room. Make sure your loved one has their glasses, hearing aids and dentures. Mute the intercom in the room if possible. 15. Provide soothing music (a radio or CD player). If your loved one needs orientation use signs to identify the bathroom (place on the outside of the door). 16. Help promote safety by asking for a room which will allow easy and frequent observation from the nursing staff. 17. Ask the staff to place the bed at its lowest position if your loved one is a fall risk. 18. Ask staff to give your loved one a different color hospital gown to identify them as a dementia patient who is a fall risk, if possible. 19. Ask the staff to use only half rails instead of full bed rails (People get hurt trying to crawl over full bed rails). Ask the staff to use alarms (bed, wheelchair, etc.) instead of physical restraints if your loved one becomes agitated. 20. Ask them to evaluate your loved one regularly, and treat them for pain if needed. 21. To make sure that your loved one is eating and drinking enough, when food is delivered lift the cover on the food, open containers, unwrap utensils, cut up food as needed, butter bread and cue or prompt as needed to eat. 22. If possible sit directly opposite your loved one and eat at the same time, they may mirror you and eat more. Ask the staff for finger food if needed. Encourage your loved one to drink fluids regularly and when they drink, you drink too. 23. When agitation and resistance to care occurs, stay calm and constantly offer reassurance to your loved one. Provide an object they can focus on (redirect their attention from whatever person/activity is taking place that is disturbing them. If seeing nurses calms them down, place them in a place where they can see one (near the nurses’ station). 24. Have the nurses tape nasogastic tubes to the side of your loved ones face and then place behind the ear. 25. Ask that IV’s be wrapped in bandage gauze, placed high on the dominant arm and ask for long sleeved gowns with a cuff to be used. Have the nurses run the tube up the arm and out of the neck of the gown. 27. Finally, keep foremost in your thoughts that “bad behaviors” are attempts by your loved one to communicate that there is a problem, and unmet need, fear, fatigue or pain. Be a detective and try to figure out what it can be. Advocate for your loved one, they can’t do it for themselves. Carole Larkin MA,CMC,CAEd,QDCS,EICS, is a Geriatric Care Manager who specializes in helping families with Alzheimer’s and related dementia issues. She also trains caregivers in home care companies, assisted livings, memory care communities, and nursing homes in dementia specific techniques for best care of dementia sufferers. ThirdAge Services LLC, is located in Dallas, TX. Title: "How to Take Care of a Dementia Patient in the Hospital"